Five different shades of glass are used to create these vibrant dishes. 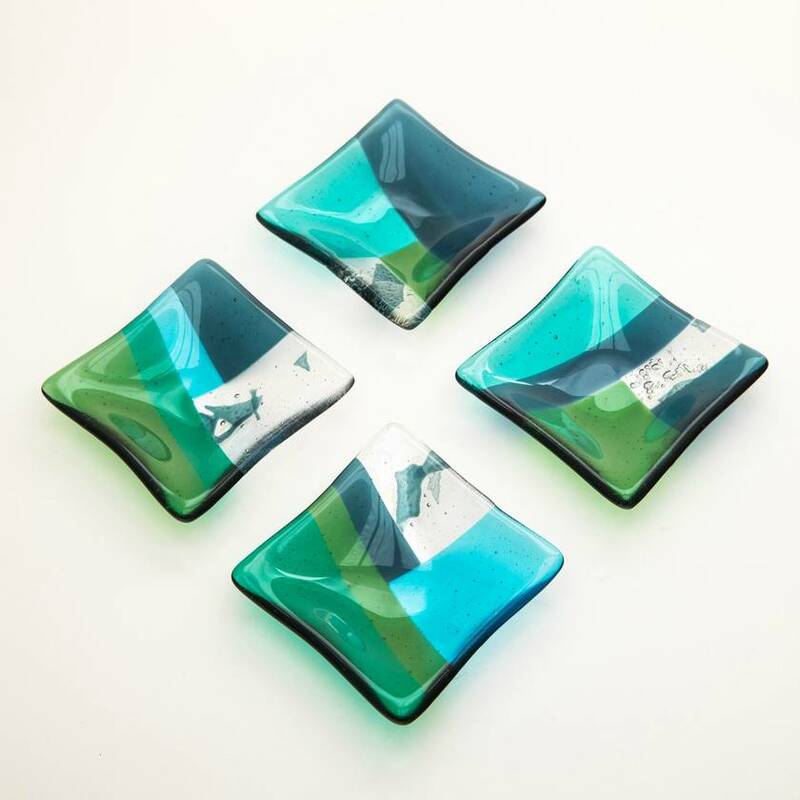 Fused glass dishes are ideal for holding jewellery and earrings, as a tea light holder, or for serving nuts or chocolates. These versatile and practical dishes make an ideal gift for all ages. Each dish measures approximately 90 mm x 90mm and is 20mm deep. Although four dishes are shown, the price is per dish. If you have a colour preference please let me know during the checkout process. Dishes in the top, left and right of the image are still available.